Given that most Americans proudly consider themselves non-political, where do our notions of collective responsibility come from? Which self-deceptions, when considering ourselves as actors on the world stage, do we cling to most tenaciously? Why do we so stubbornly believe, for example, that our country always means well when intervening abroad? 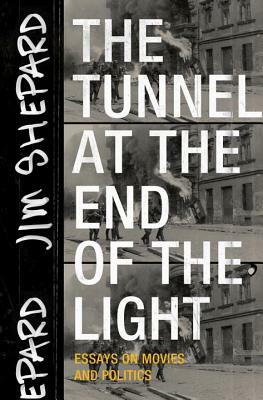 The Tunnel at the End of the Light argues that some of our most persistent and destructive assumptions, in that regard, might come from the movies. In these ten essays Jim Shepard weaves close readings of film with cultural criticism to explore the ways in which movies work so ubiquitously to reflect how Americans think and act. Whether assessing the "high-spirited glee of American ruthlessness" captured in GoodFellas, or finding in Lawrence of Arabia a "portrait of the lunatic serenity of our leaders' conviction in the face of all evidence and their own lack of knowledge," he explores how we enter into conversations with specific genres and films--Chinatown, The Third Man, and Badlands among others--in order to construct and refine our most cherished illusions about ourselves.